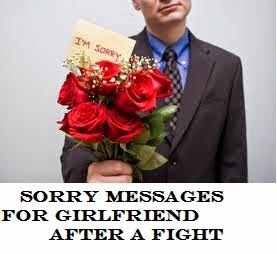 Saying sorry to your girlfriend may be more than just a word. 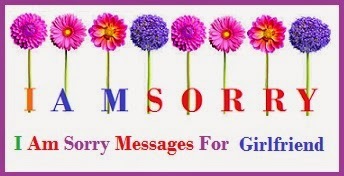 Apologizing is one of the most important skills you must learn; but sometimes words are not that easy to find. Show her that she is important to you by winning her back when you have wronged her. 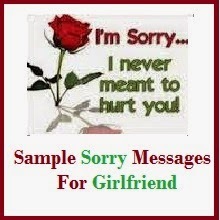 Here is a collection of sample sorry wordings for Girlfriend to choose from. 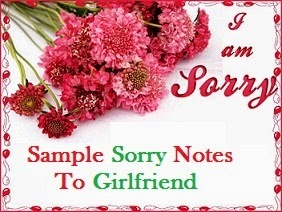 Read on to find the perfect I am sorry note for Girlfriend. We have a lot of adjustments to make for this to work out. Me in particular. I am sorry, forgive me please. I’ll make it up to you. I should have known better, didn’t know you were allergic to peanut butter. I’m so sorry. I now know better. I did not know that you were under medication. It was unfair of me to blow off some steam at your expense. I am so sorry. It won’t happen again. It was an oversight on my part. Sorry dear, I’ll be careful next time. This could have been prevented, and I take the blame. I am sorry. Forgive me please. I wish I could turn back time and make things right, but I can’t. What happened is all my fault. Please forgive me darling, I am truly sorry. I have been a fool. I know my pranks kind of went overboard this time. I am sorry, it won’t happen again. Still, let’s keep the prank going and keep it fun ok? I didn’t even notice that you were mad about my friends’ behavior. I am truly sorry. I want to talk about this over dinner tonight? Okay? It’s sad when I find out from others what you were mad about. I’m sorry for what happened. I wish you told me earlier, but this does not get me off the hook in anyway. Forgive me. I did send that text message that I’ll be late. I’m so sorry to keep you waiting. I’ll change my provider ASAP. Please forgive me. I am sorry for the misunderstanding. I was not pushing you away. We were planning a surprise party for you. I goofed. Forgive me please. You know I don’t usually take blame for some of your misunderstanding. But this time, it was all my fault. I’m sorry dear. Let me make it up to you. Since I was away, I didn’t put much effort on calling you. I thought my messages were enough to keep in touch. I’m sorry, I will do better next time. How about dinner this Saturday? It’s been a long three days and I haven’t heard from you. I’m sorry for all the trouble I’ve caused. I hope you’ll find it in your heart to forgive me. I did not mean to embarrass you dear, I just wanted your friends to know the real me. I must have said things wrong. And I’m sorry about that. Would you forgive me please? What a total jerk I was. I forgot that I had to pick you up from the library. I overslept after the exam. I am so sorry. I’ll pick you up after class. Pizza’s on me. I know that all my lying has caused you a lot of pain and I promise you that I will never happen again. Please forgive me, I really love you. My guilt has been killing me since the time I hurt you. If you forgive me this time I assure you I will never do anything to hurt you. I am sorry! All I ever wanted was to see you smile but the past few days I have made you cry so much. Please wipe off those tears and let me make up for what I have done. I am sorry. I know I am wrong and I am sorry for that. Please forgive me and talk to me? I really miss you. Please don’t be angry at me, I have realized what I have done and I am not proud of it. Please forgive me. I am sorry. I have a bruised heart and my ego is no where to be seen. I am sorry I have been such a jerk to you. I love you. I am sorry. I was selfish. I only thought about me and I just tried to make myself happy but doing that, I hurt you. But you know what? My happiness lies in your happiness. I love you. I miss you so much. Since the time you have stopped talking to me, all I ever do is think about you. Please forgive me? I know I have hurt you and caused you so much misery. I am extremely sorry for it. But, if you forgive me this time, I promise to never do it again. I was an idiot for saying all those things to you. I never should have said all those hurtful things. I am sorry. I am sorry I got angry with you over nothing. I shouldn’t have taken it out on you. I am sorry. I can apologize to you a million times to let you know that I really am sorry. Please forgive me?